How many can Ты name? ;3. . HD Wallpaper and background images in the Анимационные героини из детства club tagged: photo. I love it! I can name the most of them but I don't recognize many from the last two lines. 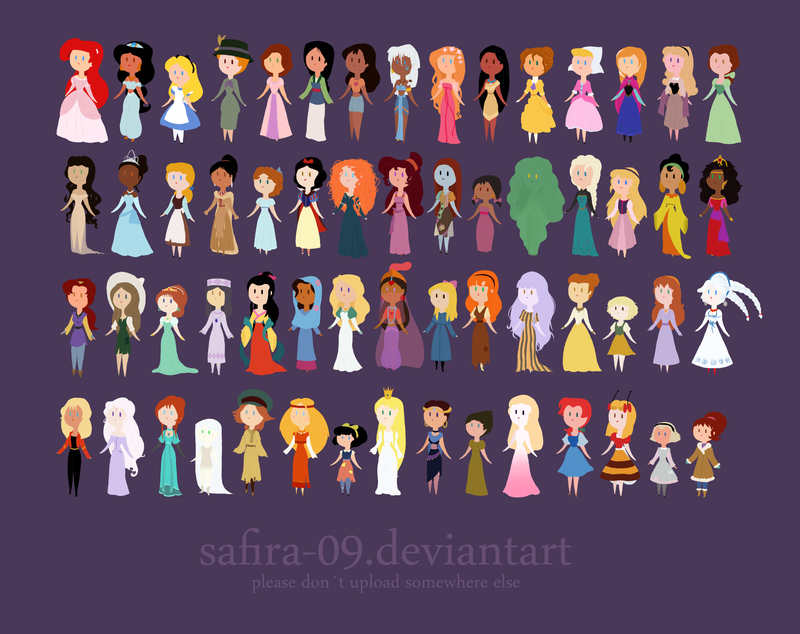 Line one: Ariel (The Little Mermaid), Jasmine (Aladdin), Alice (Alice in Wonderland), Anita (101 Dalmatians), Rapunzel (Tangled), Mulan (Mulan), Nani (Lilo and Stitch), Kida (Atlantis: The Lost Empire), Giselle (Enchanted), Pocahontas (Pocahontas), Jane Porter (Tarzan), Katrina (The Adventures of Ichabod and Mr. Toad), Anna (Frozen), Aurora (Sleeping Beauty), and Belle (Beauty and the Beast). Line two: The woman from Destino (does she have a name? 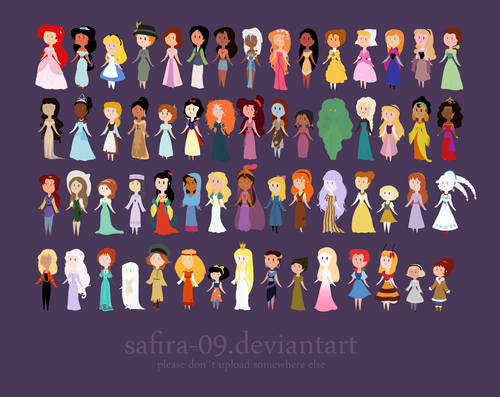 ), Tiana (The Princess and the Frog), Cinderella (Cinderella), Nita (Brother Bear 2), Wendy (Peter Pan), Snow White (Snow White and the Seven Dwarfs), Merida (Brave), Megara (Hercules), Sally (The Nightmare Before Christmas), Shanti (The Jungle Book), Sprite (Fantasia 2000), Elsa (Frozen), Eilonwy (The Black Cauldron), Chicha (The Emperor's New Groove), and Esmeralda (The Hunchback of Notre Dame). Line three: Kayley (Quest for Camelot), The Sheperdess (???? ), Camille (Nemo: Adventures in Slumberland), ??? (??? ), ??? (??? ), ??? (??? ), Odette (The Swan Princess), Yum-Yum (The Thief and the Cobbler), ??? (??? ), Daria (The Princess and the Pea), ??? (??? ), maybe Anna Leon Owens? (The King and I), ??? (??? ), Pamina (The Magic Flute), and ??? (???). Line four: Angel (Rock and Rule), Amalthea (The Last Unicorn), Angelica (Titanic: The Legend Goes On), ??? (??? ), Anastasia in Anya garb (Anastasia), Alyonushka, (??? ), Ann-Marie (All Dogs Go To Heaven), ??? (??? ), Marina (Sinbad: Legend of the Seven Seas), ??? (??? ), ??? (??? ), Mary (Babes in Toyland), ??? (??? ), Jill (Babes in Toyland), and Rosy (Balto). Some of them I know but I couldn't remember their names.